Photography, design and print are probably the first things that come to mind when you think about visualising something. So indeed there were quite a few photographers, their trade organisation and printers around. Visual Asia also supported the SG50 celebrations with a photo wall of 50 images that featured in the back of the hall. Opening address by Thomas Ang. 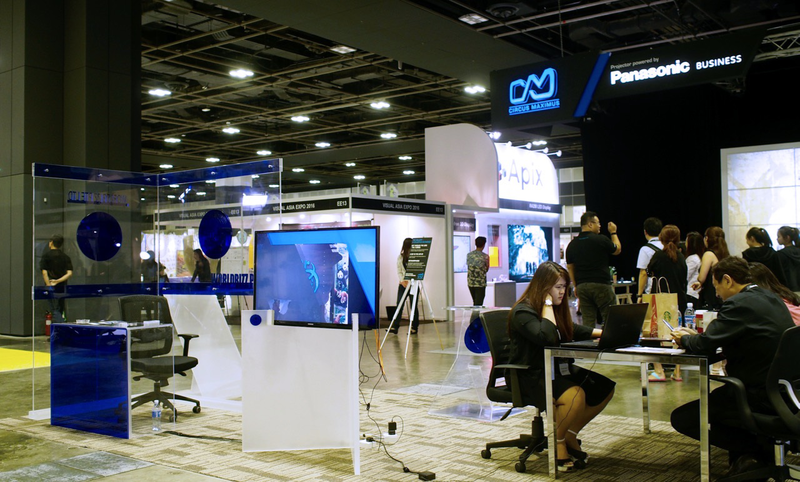 The organisation was particularly proud with the announcement that the DBCS, Design Business Chamber of Singapore, had signed a MOA to introduce Singapore’s first certification for the design industry. The certificate will be dubbed Singapore Design Class or SDC and four agencies will undergo an audit to obtain it. Trends in photography are very much driven by digital technology. But photographers are also taking 3D pictures with an array of cameras to then print objects or people, using 3D printers. Print itself is evolving too. A number of print houses presented large area printers, 3D printers and printing on self-illuminating foil. The latter is currently used for banners on SMRT double decker busses. 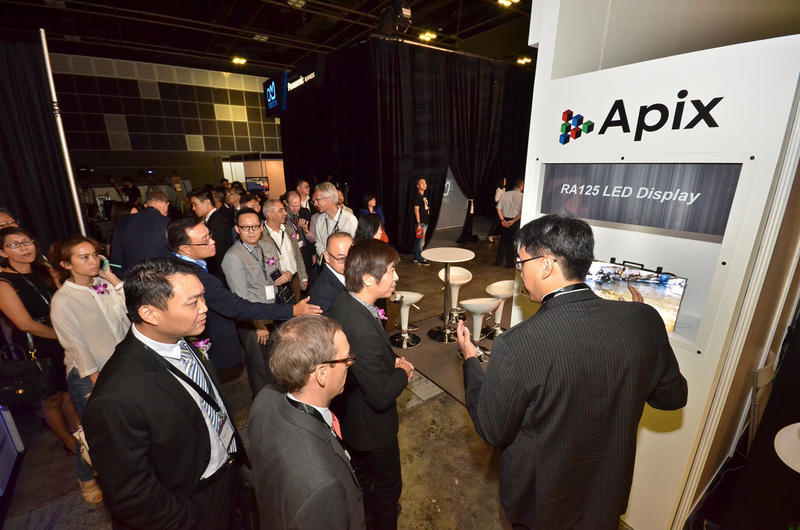 3D displays, digital signage, screens and projectors of almost any thinkable size were on, eh well display. It is amazing how technology allows ever more detailed, high definition imagery and how they are made interactive so they react on people passing by in front or allow social media interaction. 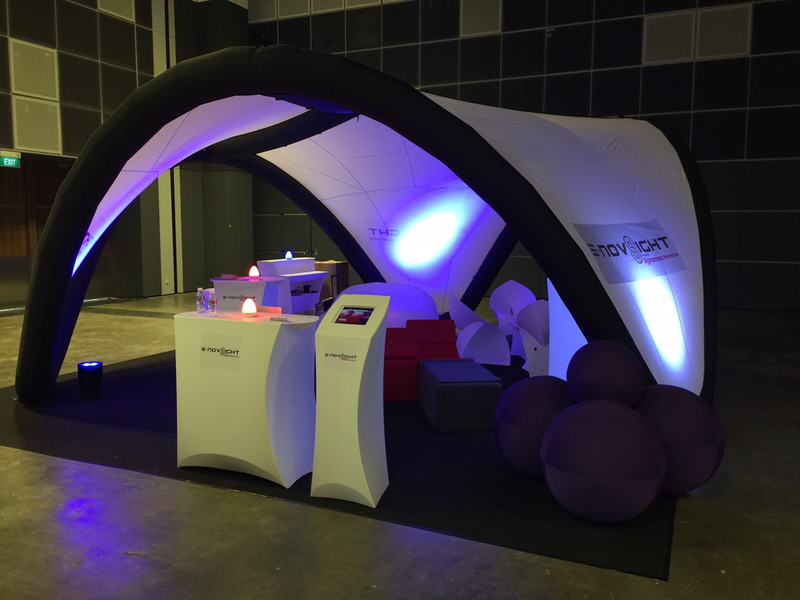 The range of exhibitors also included interior design and architecture, with some really interesting articles like a piano bar made of Plexiglas and foldable booth furniture by a French company called E-Nov8ight. Finally I also learned how floating 3D displays work with real objects inside, an innovation by Flyvision from Singapore. 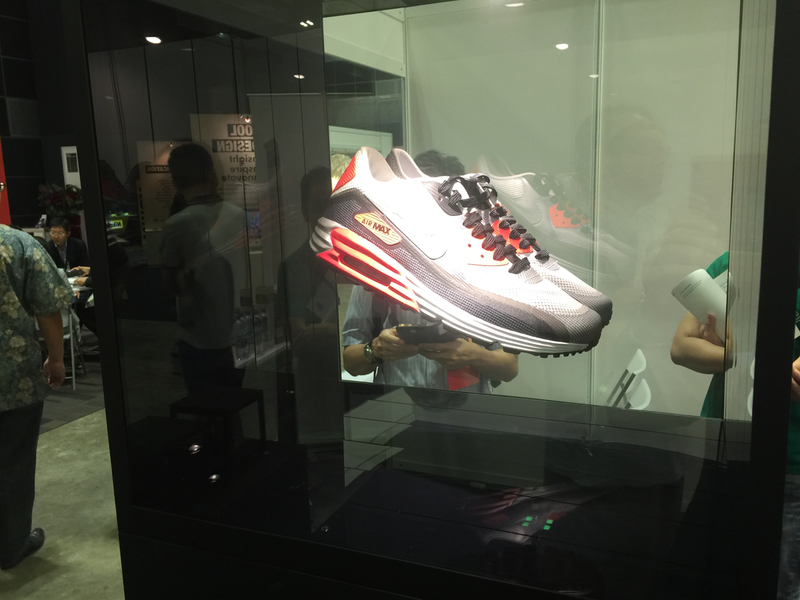 These displays are primarily used by jewellers and sports brands like Nike. They present an article ’floating’ in the middle of a glass cube. The exhibitor explained how they suspend them so they seemingly float. This patented solution does not use invisible wires or magnetic fields. What it is? Send us an email at matthieu@adasia.com.sg and we’ll let you know. 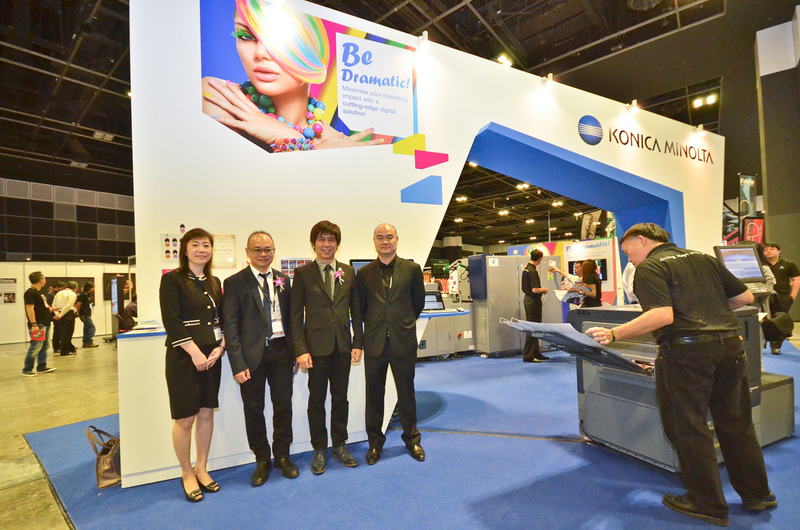 Visual Asia did not seem to attract a big crowd. It attracted more of an in-crowd. Many visitors seem to know each other and the exhibitors well. We’re looking forward to next year’s edition and hope that there will be more VIP speakers, a bigger crowd but indeed a similar range of diverse visualisation technologies. Thomas Ang and his team. 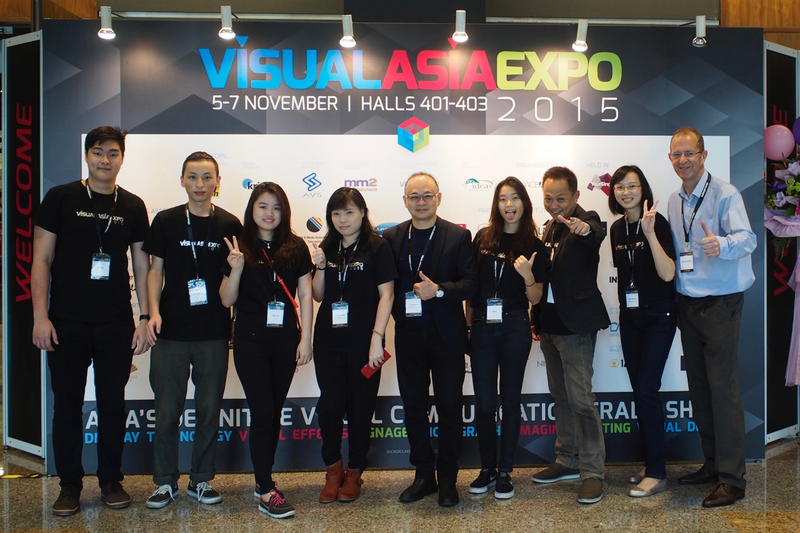 BREAKING NEWS: Just before press time the news reached us that Visual Asia’s second edition will take place on November 2nd and 3rd, 2016, again at Suntec Singapore. 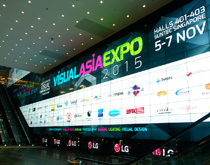 AdAsia will be there, and we will keep you posted.